An invitation only 20th anniversary party in Nanaimo has brought together puppets with their masters. 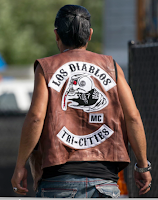 Latest farm team of the Hells Angels in the Lower Mainland are the Los Diablos MC, who are currently using a Starbucks in the tri-cities as its clubhouse. 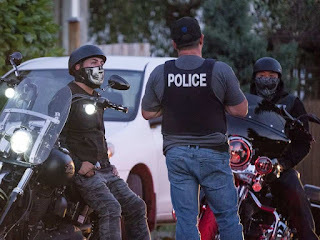 They join the Jesters MC, the Shadow Club MC out of Surrey, the Throttle Lockers from 100 Mile House and the Horsemen Brotherhood. Puppets pulled their masks up higher to avoid lenses as they entered the weekend party. 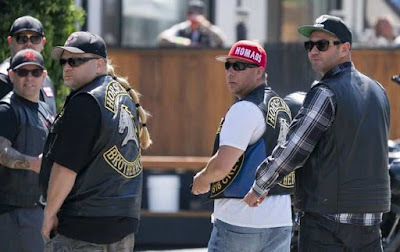 Police biker experts have seen select puppet club members 'patch over' to become Hells Angels in recent years. 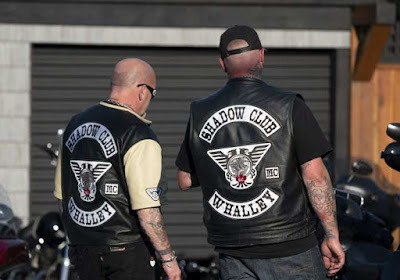 The average age of HA members in B.C. is almost 50, meaning new blood is essential. 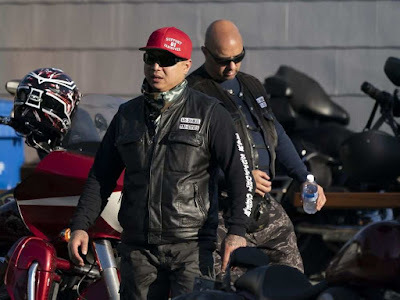 Every puppet club member aspires to be a Hells Angels and will do whatever it takes to get noticed. For the Devil’s Army and Langford Savages it means helping with party preparations and driving shuttle buses. 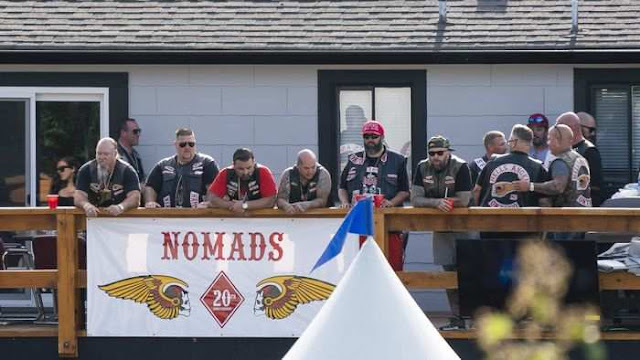 The Army MC based in Campbell River was manning the barbecue.